Published: July 23, 2015 at 01:36 p.m. 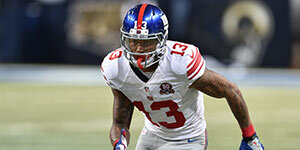 Updated: July 23, 2015 at 02:14 p.m.
With these second-year wideouts available throughout fantasy drafts, from the early rounds to the last few, how owners sort through them will go a long way in deciding league championships. In Monday's edition, we looked at the sophomores set to outperform their ADPs. In the second of a four part series, we'll examine three second-year players who are not worth the investment their current Average Draft Position (ADP) requires. To be clear, a player's appearance on this list does not mean they are bad at football, or will even perform poorly this season, just that they are currently overpriced in fantasy this year. The Saints have long been one of the best offenses for fantasy in the NFL. Drew Brees is regarded as an all-time great quarterback, and a number of rushing and passing weapons have found success under Sean Payton. The picture is a little cloudier than usual this offseason after the team gutted the offense, letting go of well-known faces like Kenny Stills, Jimmy Graham and Pierre Thomas. With those and other departures, New Orleans lost 51.6 percent of the team's 2014 targets and 53 percent of the passing yards produced. One of the assumed natural successors is last year's first-round pick, Brandin Cooks. However, there are more than a few questions surrounding Cooks' 2015 projections. While Cooks had some nice moments for the Saints as a rookie, there were more struggles than his current reputation would indicate. Cooks was a near full-time player for the team, as a he was on the field 72.6 percent of the snaps during their first 10 games before he got hurt. He absorbed 20 percent (highest among their wide receivers) of the team's targets during that time, and was on pace for a 110-target season. As a rookie, Cooks was already a core part of the team's offense. The trouble was that the Saints could not really identify a profitable role for Cooks in the early part of the season. Which was quite unusual for this coaching staff. In his first seven games, Cooks was primarily used as a replacement for Darren Sproles, and was almost exclusively targeted on screen passes and routes at or near the line of scrimmage. While this role is meant to get players in space for yards after the catch, Cooks appeared to lack the strength or power to break many tackles. He looked more like a frustrating Percy Harvin-type of player. Yet all the time, Cooks was running a variety of routes, including ones that took him downfield. Brees just rarely elected to target him on those patterns, appearing to trust other players in that area of the field. It was not until the final few games of his year that they opened up the route tree, which produced mixed results for Cooks. The undersized rookie struggled dealing with press coverage, and was very hit or miss in contested situations. He flashed the type of excitement that made him a first-round pick, but was far from a disciplined or well-rounded player. It's fair to wonder whether the Saints are expecting too much of Cooks, if they plan to ask him to be much more than what he was as a rookie. 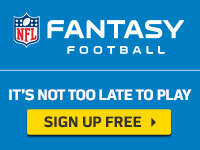 Fantasy owners might want to temper whether they think he will make a big leap, as well. What made Cooks a sneaky PPR fantasy FLEX last year was his efficiency, and a sterling 76.8 percent catch rate. While very impressive, that number is also inflated by the number of short and easy passes he caught -- his yards-per-reception was only 10.0. If the Saints use Cooks as a more traditional wideout, it is impossible to project that sort of catch efficiency to continue. In order to maintain that, Cooks would have to be better than elite undersized receivers, Antonio Brown (71.7 percent) and Randall Cobb (73.1 percent), were in 2014. This is a rather unfair expectation to put on a player who struggled to deal with press-man coverage last season. So, if his role opens up, he will not have the safe PPR floor many imagine, and if it does not, then he is stuck in an unprofitable gadget assignment. With all the questions surrounding Cooks and the Saints offense, it's more than puzzling that he has carried a top-15 receiver ADP throughout the offseason. At his current price you are essentially expecting high-end WR2 or fringe WR1 sort of production out of Cooks. As shown, that is far from a sure thing, even in a PPR league. If that is what you are after, you are better off waiting two rounds for Julian Edelman, or even three to four rounds for Jarvis Landry. They do not have the same theoretical ceiling, but are cheaper options with a tangible safe floor. Recall the hype-train of last year that saw an exciting second-year receiver with a limited sample size randomly pushed up draft boards. That's right, the case of Cordarrelle Patterson and Brandin Cooks really are not all that far apart, in terms of a bloated draft slot. Keep that in mind, and let one of your other league-mates step on that landmine. After the Bills traded a future first-round pick for the rights to secure Sammy Watkins, there was a collective groan from the fantasy world. Watkins was widely regarded as one of the more talented receivers to come out of the draft in the last few years, after scoring 27 touchdowns at Clemson. It was just a shame that he had to go to Buffalo, a team whose under-center options were an over-drafted second-year passer and a journeyman who was eyeing retirement. It certainly looked like dark days were ahead, and that came to fruition. Despite a solid end-of-year statistical line (65-982-6), Watkins' rookie season was one filled with a number of frustrations. Truthfully, that final line is rather deceiving. Watkins finished last season as the WR25 in standard scoring leagues, but his production was sporadic. He amassed 47.8 percent of his fantasy points in only three games, against the Chargers, Jets and Vikings. Together, those three defenses ranked an average of 16th in the league in terms of fantasy points allowed to wide receivers. Watkins showed flashes as a rookie, but was far from a consistently great player who transcended a bad situation. The rookie from Clemson also had to endure some of the worst quarterback play of any receiver last season. Kyle Orton kept the offense viable at times, but took a sharp decline as the season came to a close, and was an inaccurate liability. Worst of all, and something that Watkins' rookie season cannot be analyzed without mentioning, was the hip injury he endured late in the season. These injuries are devastating to receivers, and according to Dr. Jene Bramel, "Impingement and labral injuries of the hip would hinder at the most critical points of route running, specifically limiting his ability to sink his hips and come out of breaks quickly." Watkins already needed plenty of work with his route running after coming from a stripped down offense at Clemson. Suffering an injury that robbed him of any ability to do so was more than just a small hiccup, it was devastating. The Bills receiver did have surgery to fix the issue in the offseason, but has not taken the field prior to training camps opening. Provided Watkins is a much healthier player this season, we will see an improvement in his individual play. The question for fantasy owners is whether that will even matter. Sammy Watkins dealt with a painful quarterback situation last season, but it may actually be even worse one year later. While Kyle Orton was a problem, the triumvirate of sadness that is the Bills quarterback competition in 2015 is certainly worse. Former Ravens backup, Tyrod Taylor, may actually be the player most worthy of starting there. Seriously. With little hope of improvement behind center, it's hard to expect Watkins to make a jump in fantasy. The arrival of Rex Ryan as the head coach brings yet another dark cloud over the passing game in Buffalo. Last year, Watkins maintained his WR3 status due to his 128 targets and the volume share he owned in the Bills offense. In Ryan's history as a head coach, only one receiver has ever seen more than 110 targets, and that was Eric Decker last season. As an evangelist of the power running game, the boisterous head coach has long torpedoed the fantasy careers of many formerly successful wideouts. In an effort to show the world he has no intentions of changing, one of Ryan's first few moves as head coach was to acquire and pay an aging running back. With every piece of evidence suggesting Watkins' opportunity is ready to decline, we must be worried about his catch efficiency. Whether the fault of the quarterback or his own ability, Watkins only caught 50.8 percent of his targets last season. With a likely downgrade at the quarterback position in town, there's no reason to expect that figure to rise. Fewer targets and a poor catch rate means he'll be hard pressed to produce at the same level he did as a rookie. There might not be a high profile wide receiver in a worse situation this year than Sammy Watkins. As such, it's hard to see any reason why his ADP is justifiable. MFL10 drafters peg him as the WR23, while ADP at NFL.com sees him come off the board as WR20. Such expectations of Watkins are, frankly, illogical. A WR20-23 finish would call for his numbers to improve from last year, and there is no tangible path for that to occur in 2015. He would be a safer gamble in the seventh round of drafts, but he's just never around that long. Sammy Watkins is a fine talent, but unless his price in fantasy finally drops, he should be squarely on every "do not draft" list this season. Despite being a first-round NFL Draft pick, Kelvin Benjamin fell quite late in many fantasy leagues last season, if he was even selected at all. Perhaps it was his reputation as a player that needed work, or the usually uninspiring nature of the Panthers passing game, but Benjamin flew under the radar in redraft leagues. The big rookie paid off in a major way for those who took a chance on him, as he recorded 73 catches for 1,008 yards and nine touchdowns, good for a WR16 finish in PPR leagues. Benjamin proved himself to be a positive force in Carolina's offense, and a weapon that jived well with their quarterback. However, a deeper look into some statistics show there are some holes to poke in his numbers from last season. Kelvin Benjamin just had the all-time greatest season for catching TDs in garbage time: 5 scores down 21+ in 4Q. Of course, garbage time points count in fantasy. Yet, predicting them year-to-year can be a tricky thing. 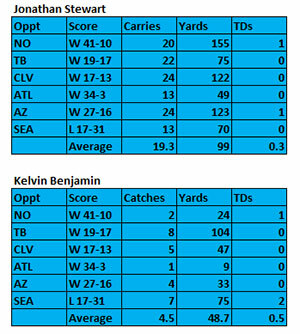 Early in the season, Benjamin was amassing most of his production late in games after the team was already out of it. This was great for Benjamin's fantasy owners, who were getting production, but it was not a winning formula for the Panthers. It appeared Carolina soon realized this, as the offense changed during the latter part of the season. In the last four regular season games and two playoff contests, when they won five out of six games, the team became run-centric. During that stretch, Jonathan Stewart averaged 19.3 carries and 99 yards. That meant some pretty scary statistics for their rookie wide receiver. The numbers bear out that when the Panthers were at their best as a team, Kelvin Benjamin was less productive. Opinions are mixed on how good Carolina will be this season. However, no other team in the division improved much, and the organization made a firm commitment to Stewart this offseason. The other main issue surrounding Kelvin Benjamin is his efficiency. Benjamin was a volume player last year, with 145 targets, a near historic number for a rookie and good for sixth in the NFL last season. The competition the Panthers added in the offseason was in the form of second-round pick Devin Funchess. The receiver from Michigan has some intriguing ability, but how quickly he produces in the NFL is a mystery. With the lack of competition, there's a chance that Benjamin could see the same volume as last year, but that's a bet on the team not returning to the formula they won with last season. He'll need those targets to keep coming as he maintained a 50.3 percent catch rate, which was third-lowest among receivers with at least 110 targets. Benjamin also only converted 20 percent of his red-zone targets into touchdowns. Now, the blame for those poor statistics need not lay solely at his feet. Cam Newton is an excellent player, but has always been an erratic passer. During his low streaks, he can certainly send passes over his receiver's heads, which contributes to the lower catch rates of all his receivers including Benjamin. However, the former Seminole had a reputation as a drop-ridden, mistake-prone player in college, and that bore itself out in the pros, despite his production. The #KelvinCoaster had its ups and downs as a rookie, and those moments are illuminated in his concerning catch rate. Kelvin Benjamin is a strong asset to his NFL team, but his fantasy stock is concerning. With so much of his production clearly riding on volume, and the team's philosophy, it's fair to wonder whether he takes a step back. His current ADP of WR17 in MFL10's, and an even more aggressive WR13 at NFL.com, provides no cushion for any sort of drop off, as he finished as the WR17 last year. In a run oriented offense, with an occasionally erratic quarterback, it's hard to see this inconsistent receiver outperforming his ADP. The only way that happens is if Cam Newton's offense moves the ball much better, and Benjamin is able to use his big body better to score more touchdowns in the red zone. While not impossible, it would be quite a shift from the garbage-time driven ways of his rookie season. Kelvin Benjamin will be plenty useful in fantasy this season, but his current asking price is too rich. Other target hogs, like Brandon Marshall and Allen Robinson, are available later, as are higher upside players in superior offenses, Andre Johnson and Martavis Bryant. There is rightly a mystique around the Green Bay Packers offense. The unit consistently finishes as one of the highest-scoring outfits in the NFL. Aaron Rodgers is the commander of one of the most efficient pass attacks in the NFL, and the team churns out productive receivers like a car factory. Unfortunately, that green and yellow mystique has brought too much hype to a certain second-year receiver in Davante Adams. Rather quietly, Adams struggled as a rookie in Green Bay's offense. He was the least efficient first-year fantasy receiver last year, scoring .08 fantasy points per snap. Coming from a wide-open Fresno State offense in the Mountain West Conference, a slow transition to the NFL should have been expected. Adams had issues separating from man coverage, and was often out of rhythm on the timing based routes Aaron Rodgers executes in that offense. The Packers used three-receiver sets on 91 percent of their plays last season, and by early season it was Adams in that third spot. Playing time opportunity was not the issue last season. Rather, it was an inability by Adams to prove himself worthy of being a focus for his quarterback, at least not enough to be prioritized over the entrenched players. Believers in Adams will cite his games against the Patriots, and divisional round of the playoffs against the Cowboys. However, those games are the outliers, as the other 16 games of his season featured average or substandard play. Seeing those two games, both on national television, just caused cognitive bias to take place for those who already believed a big breakout was coming for the Packers third wideout. It's just far too difficult to project a lot of change in Adams' situation for 2015. Green Bay is returning 96.2 percent of the team's targets from 2014, with only a few bit players departing. In order for massive growth in Adams' role in the offense to take place, you'll have to project that he siphons targets away from either Jordy Nelson (151) or Randall Cobb (127). Assuming a still unproven talent is going to start taking looks away from Pro Bowlers is ill-advised. There is some talk that Adams could produce James Jones lines like the 64-784-14 one from 2012, or even the 2013 59-817-3 finish. However, there are multiple issues with that concept. For one, we've already discussed Adams' inefficient play as a rookie, and so naturally assuming that he will be better than, or even as good as, Jones is a dangerous assumption. There is no NFL game-tape based evidence yet for that leap of faith. Secondly, the Packers offense has changed in the years since Jones' 14-touchdown season. In 2012 they ranked ninth in terms of plays run in the NFL; that ranking dropped to 11th in 2013 and fell off a cliff to 24th in 2014. With the emergence of a three-down running back in Eddie Lacy to aid Rodgers, the Packers passing offense has become more about efficiency than volume. As such, the offense does not sustain as many productive pass catchers, and targets just funnel through the top two receivers and Lacy. The biggest misconception with the idea that Adams could become James Jones is just how the former Packer achieved his production. In his 14-touchdown season, Jordy Nelson missed four games, and Randall Cobb missed 10 in 2013 when Jones recorded 800 yards. Even in Jones' seven-touchdown 2011 season, Greg Jennings missed the final three games. Just like Jones, Adams will need an injury to befall one of the two Packers' starters to have every-week fantasy value. Otherwise, as Jones was, he'll be an inconsistent and touchdown-dependent asset. Also, let's not forget, that Adams will have some competition for the third receiver spot. The team drafted Ty Montgomery in the third round, while super sleeper and athletic measurables darling, Jeff Janis, ran with the first team when Nelson missed OTAs. Adams more than likely wins that job going away, but it would be wise to remain open to the idea that there are other names in play here. The idea that Davante Adams is going to carve out a profitable fantasy role without an injury taking place is quite simply a fallacy. Provided the starters stay healthy, the targets will not come his way enough for him to improve much upon the 446 yards and three scores he totaled as a rookie. He's a popular target on "breakout" lists provided by mainstream media, and some outfits even have his ADP listed as an eighth-round pick. That is ahead of surefire producers like Eric Decker and true upside players in line for real targets like Kenny Stills. Davante Adams is definitely a player you want to take as one of your final picks in your fantasy draft, just in case that injury occurs. But if you find yourself sinking anything more than a 13th rounder in him, you have overpaid. Matt Harmon is an associate fantasy writer/editor for NFL.com, and the creator of #ReceptionPerception, who you can follow on Twitter @MattHarmon_BYB. If you can't reach him, he's likely knee deep in FanDuel's Week 1 DFS prices. Send help, please.